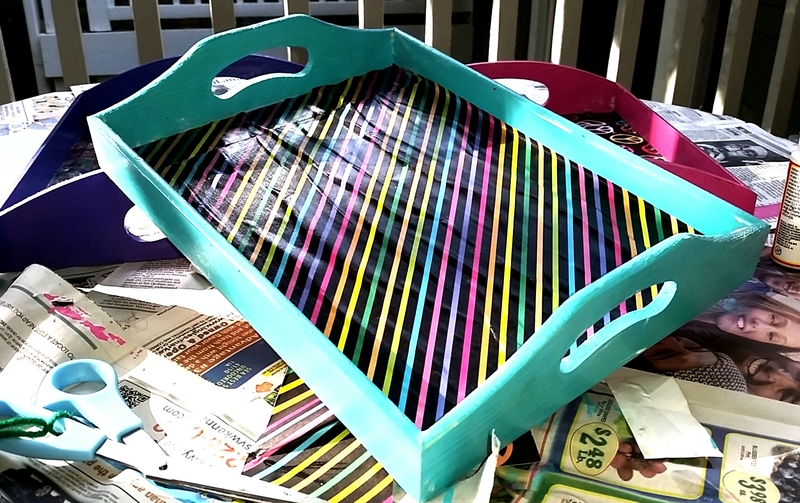 We ended up in Hobby Lobby and bought this Unfinished Wood Tray Set. As you know, you can’t go to Hobby Lobby without using their mobile coupon…….. instant 40% off! 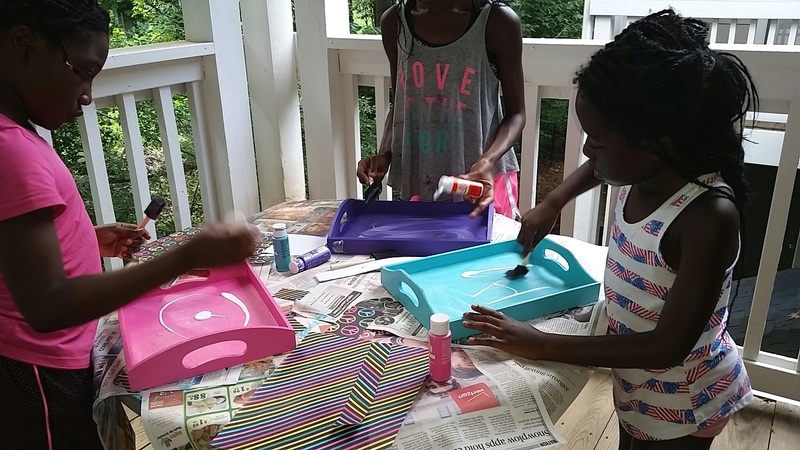 After picking out some different acrylic paint and Super Glossy Mod Podge we were good to go! 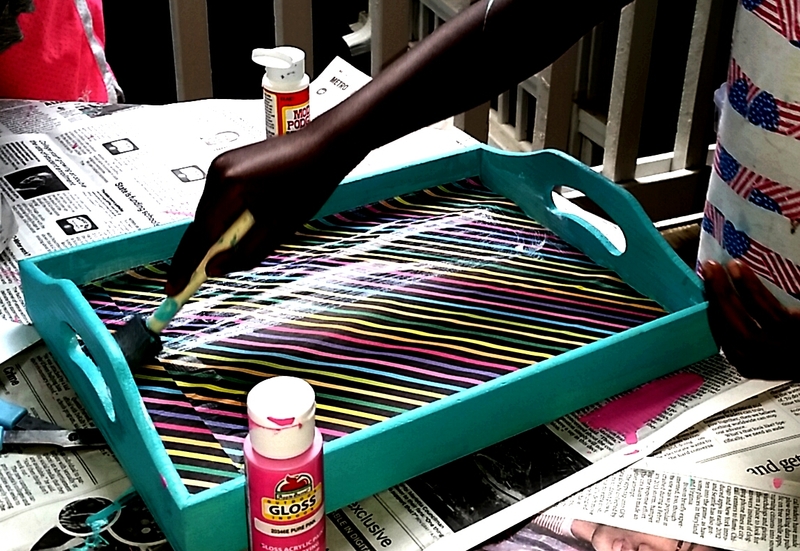 The girls used paint brushes to paint the trays using acrylic paint. 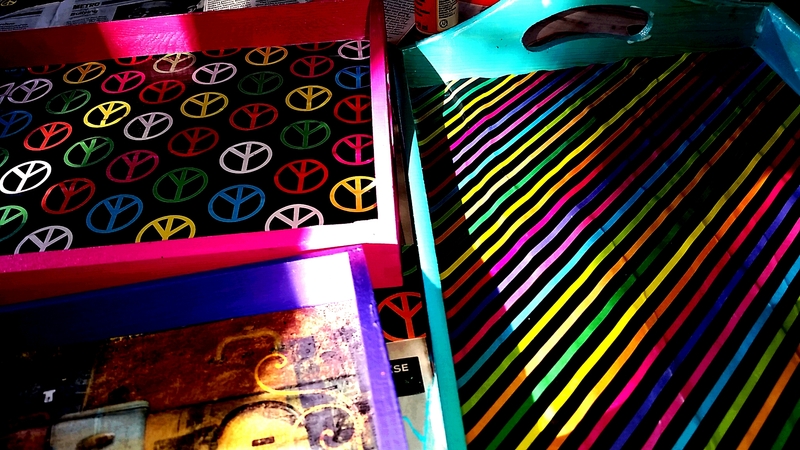 After the paint dried, they brushed on a coating of Super Gloss Mod Podge on the inside bottom of the tray. They placed some scrapbook paper (cut to fit the tray) on the Mod Podge and pressed out any air bubbles trapped inside. 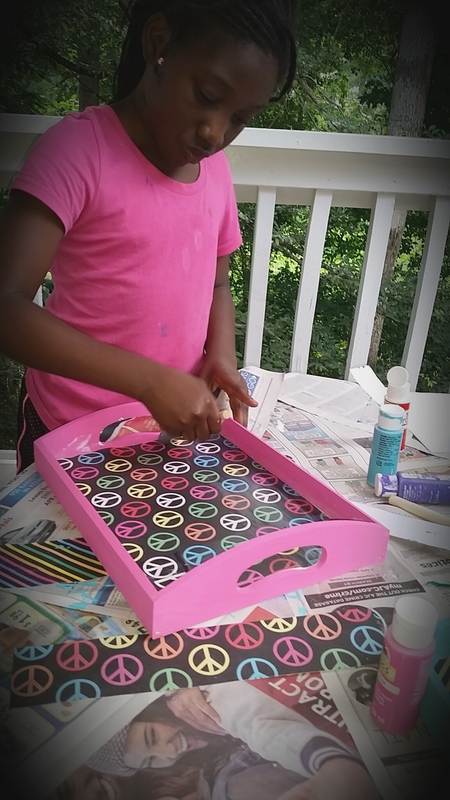 Another coating of Mod Podge was added over the scrapbook paper and every visible are of the tray. Allow it to dry for about 1-4 hours so that it can dry completely. It will be dry sooner, but allow extra time just in case. 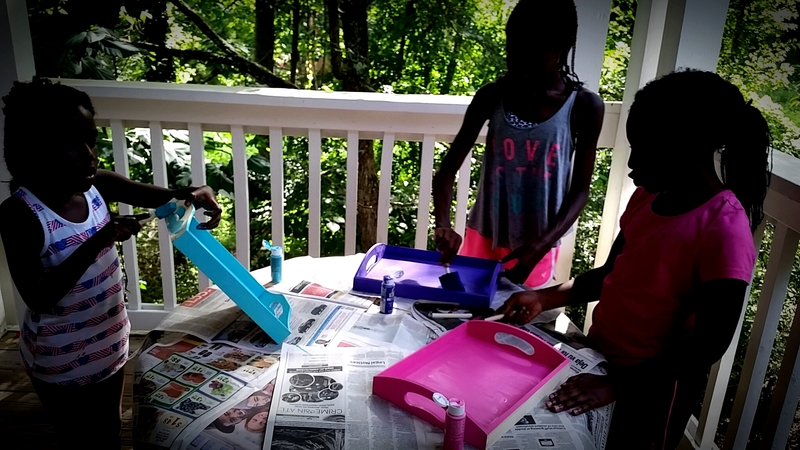 Using Mod Podge on the trays allows the paint to have a shiny and glossy shine to it and makes it look soooooo much better!